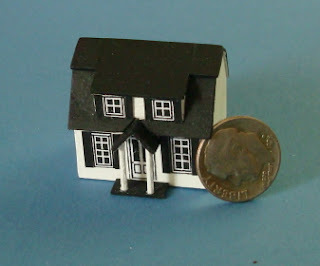 A friend gave me a kit for this dollhouse for a 1/2 scale dollhouse. My first attempt at building so small. Is this 1/288? In hindsight, I think I should have used lighter paint colors for something so small. Es una maravilla, tan pequeña y hermosa.